Tomorrow the movie will officially be out in Malaysia theaters (26th June 2014). Hopefully it will be another great movie to watch this year. I really enjoy watching Transformers which have Megan Fox as the heroin. Transformers 3 was quite disappointing as she did not act and I was like, "Why?!". Main actor and actress is really important to make the movie enjoyable to watch. Hopefully the new stars for T4, Mark Wahlberg and Nicola Peltz would make the movie awesome as T1 and T2. 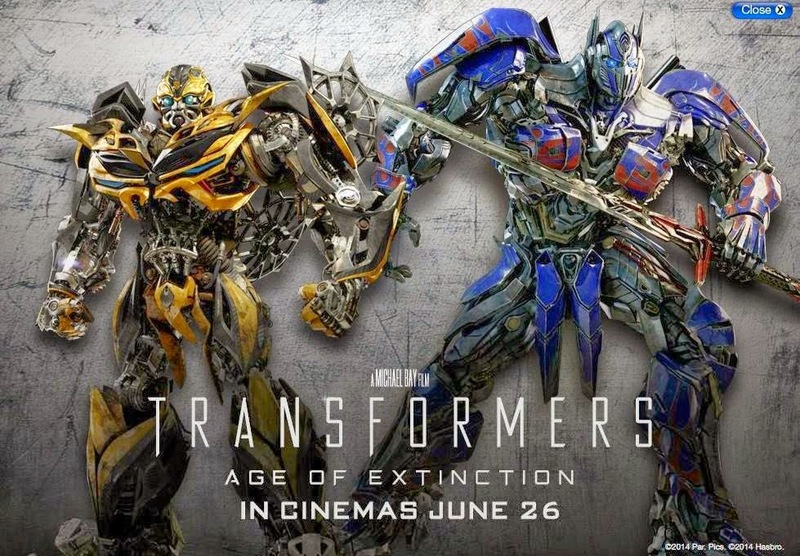 May the $165 million budget to produce the movie worth it all for Michael Bay and RM 15~RM 20 movie ticket worth it all for us Malaysian to watch the movie. 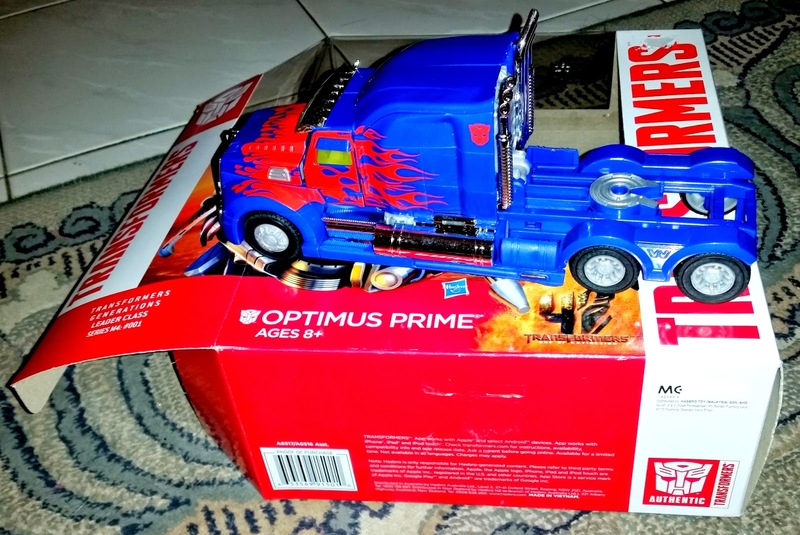 As you can see below, this is a limited edition Optimus Prime First Edition Figure for Transformer 4: Age of Extinction. I got it for my hubby and he was really happy. It is really a cool figure which Optimus Prime could change into a truck in 15 easy steps. This package is from Hasbro and the price is reasonable for its quality and features. 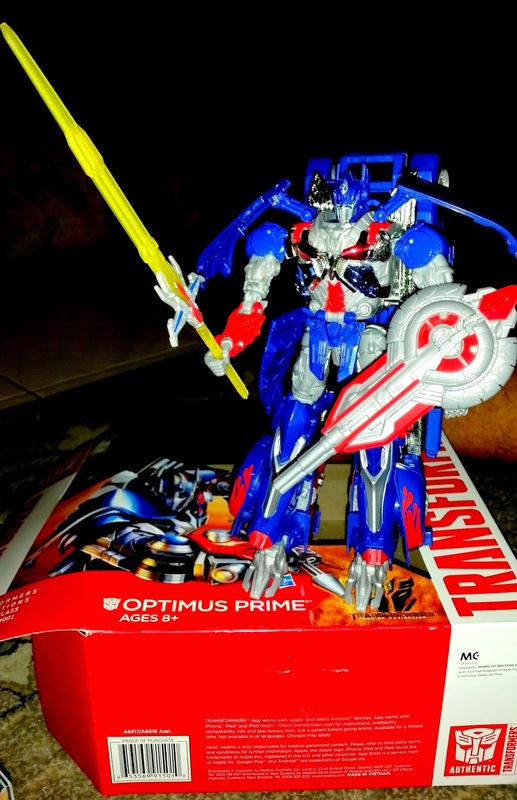 The Optimus Prime figure is a limited edition and its the first edition figure of T4. It is a 2-in-1 warrior which converts from robot mode to truck mode. The awesome figure is over 10 inches tall. It comes with Sword of Judgment and able to defend himself with his Sentinel Shield. Even myself was thrilled to hold the figure and play with it. It is worth the money buying and satisfied to have the figure in our collections. If you are not into an Optimus Prime figure, there are others impressive figures including Grimlock, Dinobots Slug and Scorn, Galvatron, Crosshairs and loads more. 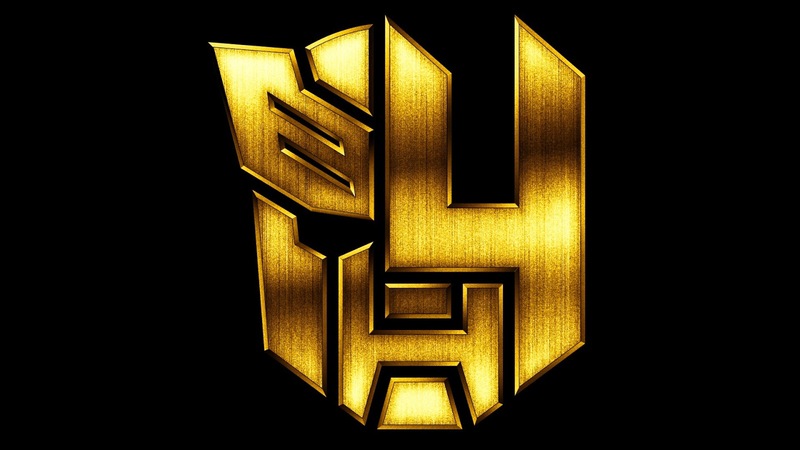 They will have 73 new Transformers figures by the end of the year. 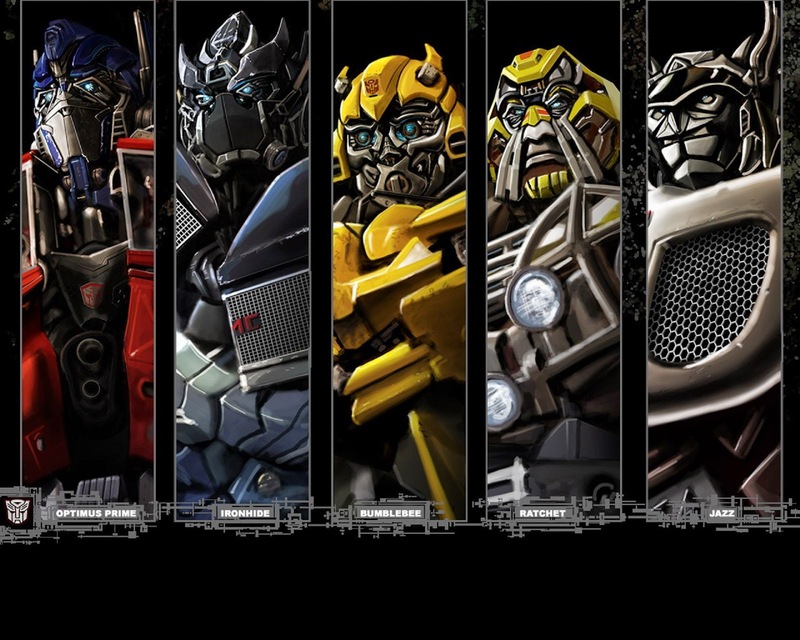 Hopefully, you will have a better view and info on Transformers 4 figure collections (mainly Optimus Prime). Have an amazing time watching T4! "Until that day...till all are one." Black Canyon Coffee - A Must Try!